Adorn your car (or whiteboard at work) with this colorful bouquet of 34 flowery retro daisy magnets that punch out of two huge 12 inch by 18 inch magnetic sheets, enough to do both sides of the car. Individual magnets range in size of 1 inch to 3.5 inches, and they come in a resealable vinyl pouch for storage when not in bloom. New and improved! Larger flowers, longer lasting UV protected inks. Also we moved the flowers around and fit them on 4 sheets half the size of the 2 sheets for easier shipping to you. Note: The glue on the vinyl pouch that contains the magnets is sort of messy when you open the flap - we'll "create a flap" with our vendor about this and use a better adhesive next time. You might cover up the glue with tape once you open it to prevent "sticky fingers". The magnets are nice and safe inside. 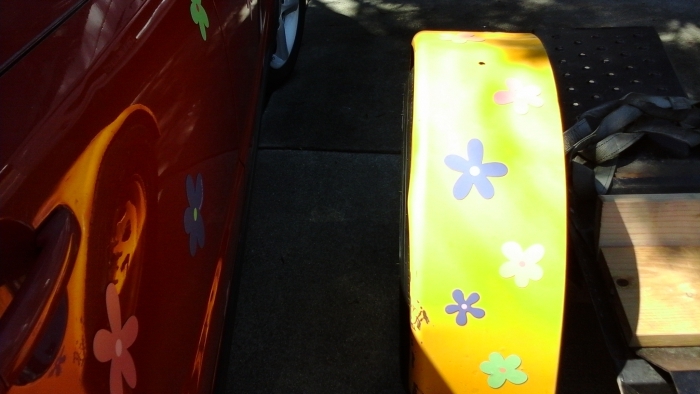 I like both, but the Flower Power had the most vivid color and seemed to be a little thicker than the Crazy Daisies. 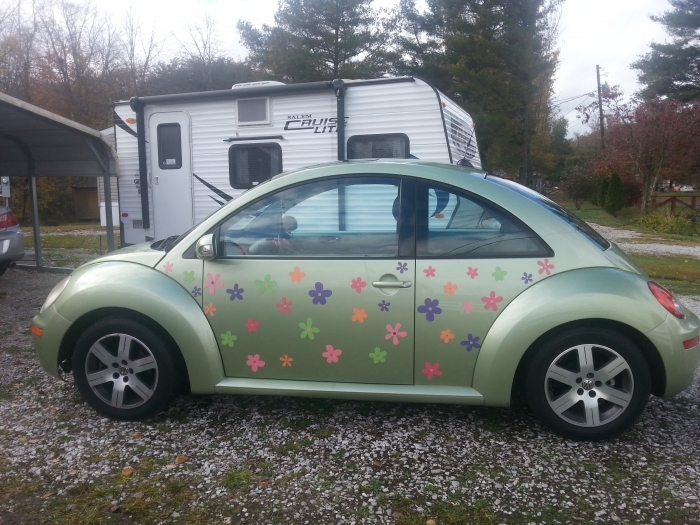 Hope to make my Beetle a Hippy mobile for an upcoming Hippie Fest in May. We have so much fun driving our crazy daisy car! We bought our first set 3 years ago, and they still look great. Got another car, so we ordered more. I've purchased them before. Much easier than having the car painted! These make my life better! I had to give up a beautiful classic car and trade it for a practical but dark gray car. It was less than glam and lacked flavor and zest. These magnets brought it some life and made me feel bright again, instead of driving around in a dark cloud! Thrilled to bits! Merchant Response:Thank you for the great review and photos. We are very happy to hear our Crazy Daisies magnets have made your life better and brighter! I absolutely love my Crazy Daisies! Im an old hippie. AND an added bonus is that I can find my car easily now! They make my boring car more fun and make me happy. I get smiles from other drivers on the road. I can tell which car is mine in the parking lot. They last a long time..this is my second purchase of these magnets. Best UsesMake my car happy. It definitely makes my car so much more visible to other drivers and prevents accidents. 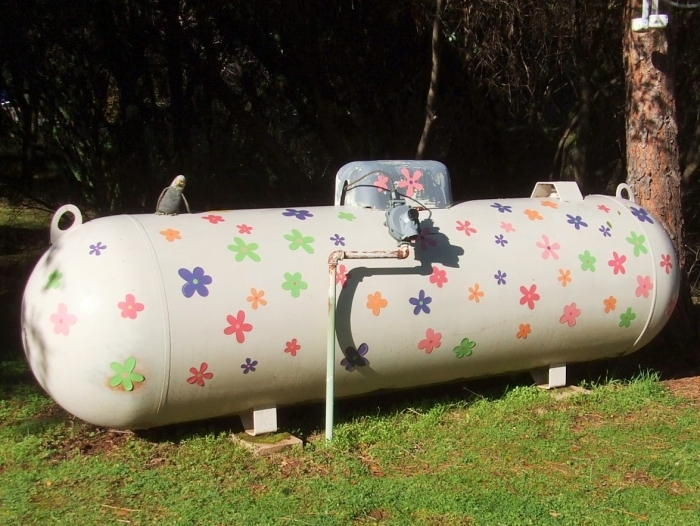 Best UsesDecorating the propane tank. So Fun for my Mini! I love how these look on my Mini! They seem to be sticking well. I am planning to rearrange them regularly. I ordered 4 sets, but this is only 2 of them. So far they have withstood wind, heavy rain, and freeway speeds. Everyone smiles when they see these on my car. I have had the colored polka dots on my car for two years and I have loved them. Now that I have these daisies, everyone says they are so ME! 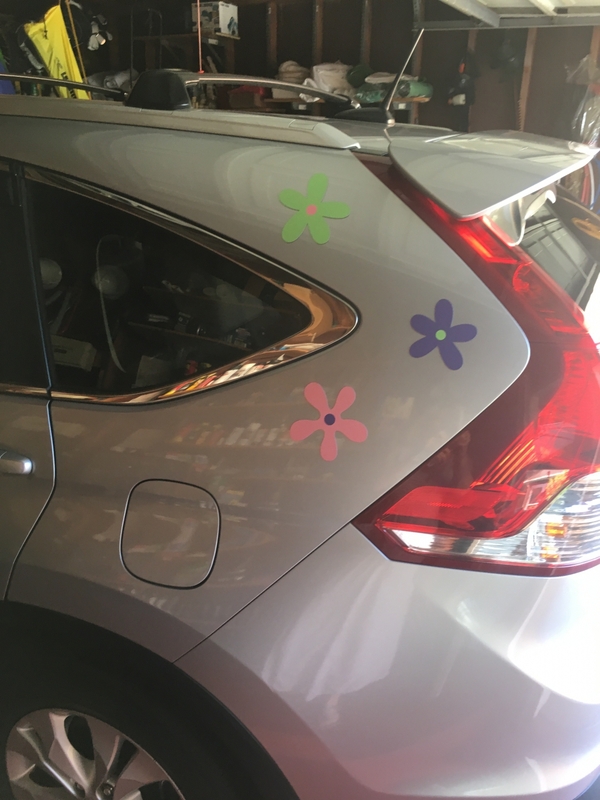 My car is blue, so the purple ones don't show up very well, but there are plenty of flowers for my whole car without using the purple ones! A really fun product!! I needed some flower magnets for my car and these are super cute. They stay on and I had enough to cover not just my car, but the wheels of our trailer as welll. The colors of these flowers are not as bright as I thought they would be, but I really like them. Best UsesMy car and our trailer. Brightly colored, easy to use and look great on my bright red Jeep! I love them. I don't know how to say it any better than that. Sure, they may fade in time, but that is the nature of everything. It makes me happyto walk out in the morning and see my car before having to focus on my stressful job. And in the evening when I am done for theday i get another jolt of happy when iI get into my car to come home. When they fade eventually, I will buy new ones, because the amount of happiness I get every day is well worth the price. These magnetic daisies are so much fun. I'm 74 years old and was forced by finances to purchase a BLACK and boring used car. With every passing year I hated the car more and more (worked good - looked bad). 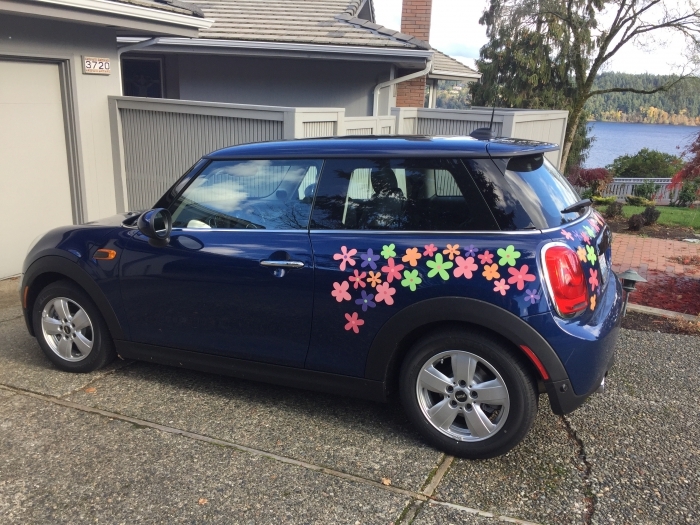 I got a pink steering wheel cover for my birthday and I immediately remembered seeing these daisies on a car in California several years ago. Thanks to the internet I was able to find them in your store!!! The look great and my car is now a happy car. Great! Cute and great quality. This is the third time I bought the daises (over a 7 year time frame) they constantly get smiles from people. I love seeing little kids noticing them. They stay attached even at highway speeds. I really like my new flowers. Ok, they are not the prettiest flowers and the colors are rather limited, but these things have stayed on my car through rain and wind. I do like the variety of sizes. They are great for my floral shop delivery vehicle! The colors do not last. They either peel off or wash off in the rain. I bought 2 big packages of these and have gone through one in which most of the color had dissipated within a year. It's too bad, because they are so very cute but non-durable. Merchant Response:Thank you for writing. I'm sorry the colors didn't live up to your expectations. All of our magnets have a UV protective coating on them to retard fading but with extended sun exposure, any magnet can fade some over time. In fact we would not expect any of our magnets to have original appearance after a year exposed to the sun - the materials, colors, and coatings simply are not made for that. That said, we've made some improvements to our most recent run of magnets to help slow this process even more based on some newer coating technology. Best UsesIndoors or on a car perhaps where there is either no sun or all rain. I cannot figure out why these magnets lose their color. And, it's not always the whole color, but part of it. Just cheaply made, I suppose. 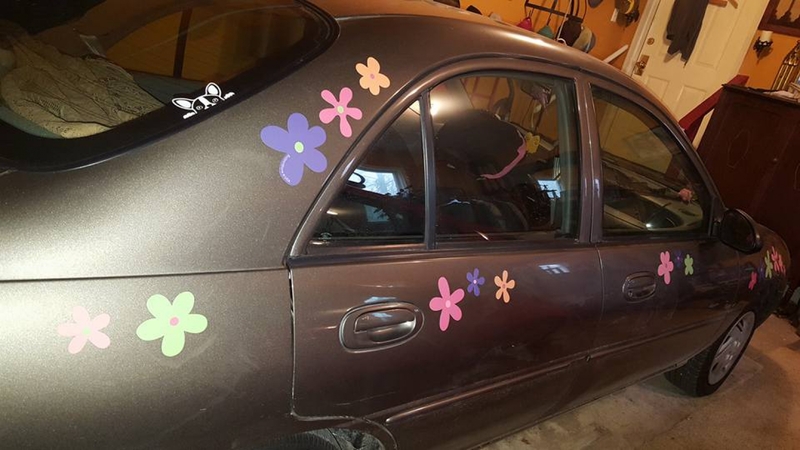 When I had a white car I always put the smiley face and flowers set on it and had a "happy" car for the summer. But now that I had a red car, I had to try something else. These were perfect for my red car. They show up and still send the message of happiness and of course everyone who knows me knows it is my car. People turn their heads and many say, "I really like those. "What are they? where did you get them? 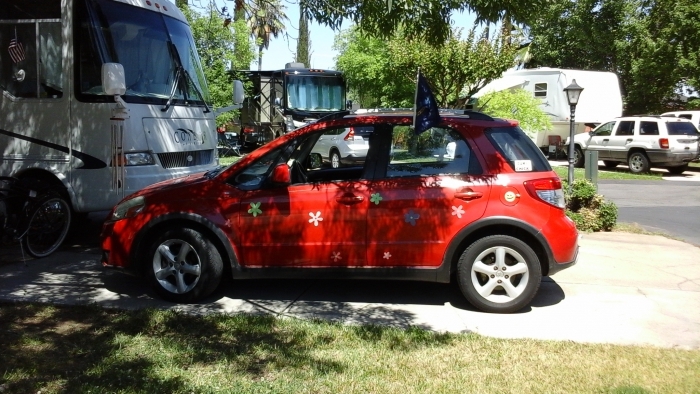 The colors are bright enough to show up on the red car and varied enough to have a garden on my car. Best UsesCar! Makes it a summer car.